To Veg or not to Veg. Or how to crack lame food jokes. 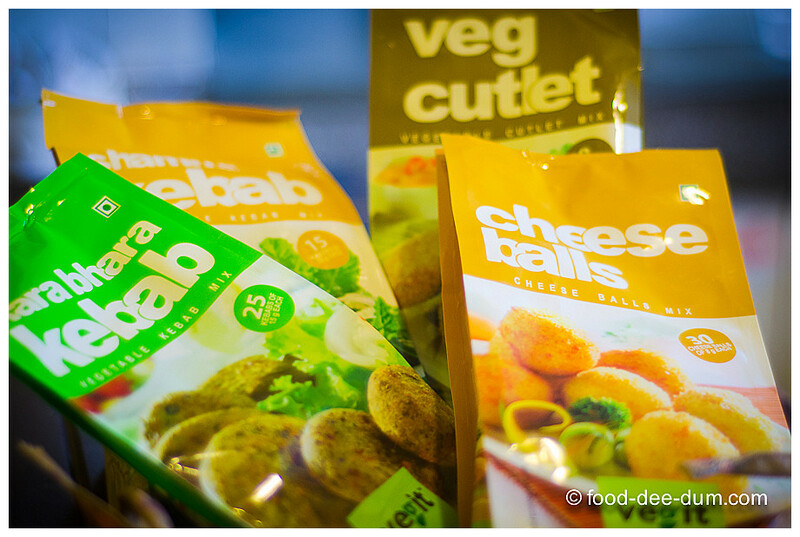 Jokes apart, a few weeks ago, I received a sample packet each of 4 of the Vegit Ready-to-Cook Snacks – Hara Bhara Kabab, Vegetable Shammi Kabab, Cheese Balls and Vegetable Cutlets. Sadly, a combination of travel, work and laziness consigned these poor babies to the back of my storage cupboard where I re-discovered them this past Sunday morning. Looking quite desolate, I may add! So I decided to make them in one go, consume a huge quantity of fried goodness and share my thoughts about them with you. So here goes. The first impression is a good one, owing to the sturdy and colourful packaging. When I opened each packet and read the preparation instructions, I liked it even more because I realised that each packet contained everything required to make it, including bread crumbs and coating batter (if applicable). The only thing I had to use separately was water to make the dough/ batter and oil to fry. So the minimal-effort angle was very well thought out. Don’t you just love it when someone tries to think of everything to make things easier for you? They also come with a “twist recipe”, using which you can serve them up in style, for example Wonton Desi Dumplings (with Hara Bhara Kabab)or Quesadillas (with Shammi Kabab). I didn’t try those out at this point, but maybe later. The printed instructions on the pack were all very clear and I followed them to a T, preparing them as they are intended to be prepared. Now on to individual taste and texture observations on each of them. Nice crispy exterior with a lovely hint of Kasuri Methi. It contains peas and spinach as well, but it doesn’t shine through like the methi. Some of the spices and condiments like the methi seemed to float off while frying but everything else held together very well. The flavour and texture of gram was nice and it held together very well while frying. Most of the bread crumbs fell off from the cheese balls while frying so that “crunch” was missing. Maybe the pack should contain another pack for cornflour batter like in the Vegetable Cutlets packet. The flavour was vaguely reminiscent of Peppy’s Cheese Balls (so it brought along some childhood memories) but wasn’t pronounced enough to be really cheese-y. These come with a cute heart shape mould/ cutter to be able to shape the cutlets just right. Another point in the “thoughtful” department for Vegit. These fried very well, probably because the cornflour batter that they were dipped in before dipping in the breadcrumbs held everything together. Almost all the breadcrumbs stayed on the cutlet till the very end of frying – giving it a lovely crunch when we bit into it. This was definitely the best one in terms of texture and overall feel. Reasonably priced at INR 60 to 120-160 gms (irregular weights) — Each item packet makes a different quantity of suggested size servings. For example, the 12o gms each packets of Hara Bhara Kabab and Shammi Kabab yield 25 & 15 respectively. Instructions are well written and very precise and all the elements required to put the snack together are contained within the packet, except water and oil. Tastes like fresh, wholesome, homemade snacks rather than something out of a packet. No MSG or artificial colours. All taste very similar. Although a great effort has been made to add different spices and condiments to give each item a distinct flavour identity, it can’t conceal the the base of potato flakes/mash. And that makes the 4 of them taste like minor variations of each other. There is no baking option/ instruction for preparation, for those who may not prefer a deep fried snack. 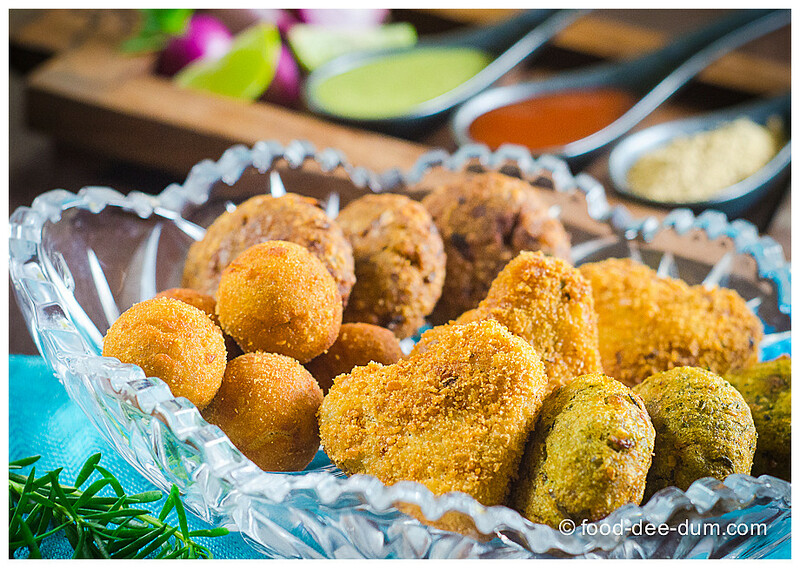 I imagine that with some experimentation, I could have baked the Hara Bhara Kabab and/ or the Shammi Kabab but it wouldn’t have worked on the crumb coated items. Good option to have in the store-cupboard for entertaining emergencies. Even though making this requires the extra step of mixing the dough and shaping it, as compared to frozen ready-to-cook snacks, the taste and feel is much more wholesome and fresh and is definitely worth it.